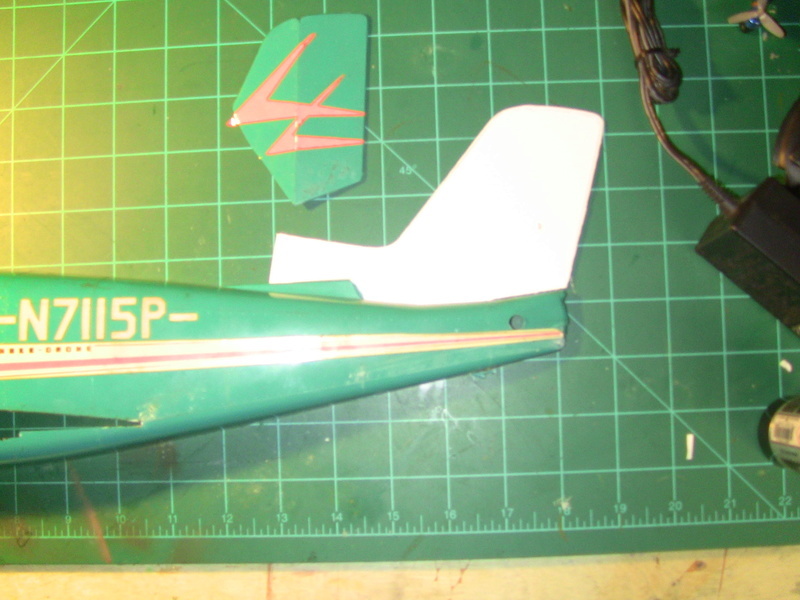 Just as the thread title says, I need to reglue the fuselage studs, and wonder how to have the screws bite into the plastic without freezing on. I need a rear elevator as the one on it is missing a tab, possibly can make one and glue it on the same way Jay Mendoza suggests. 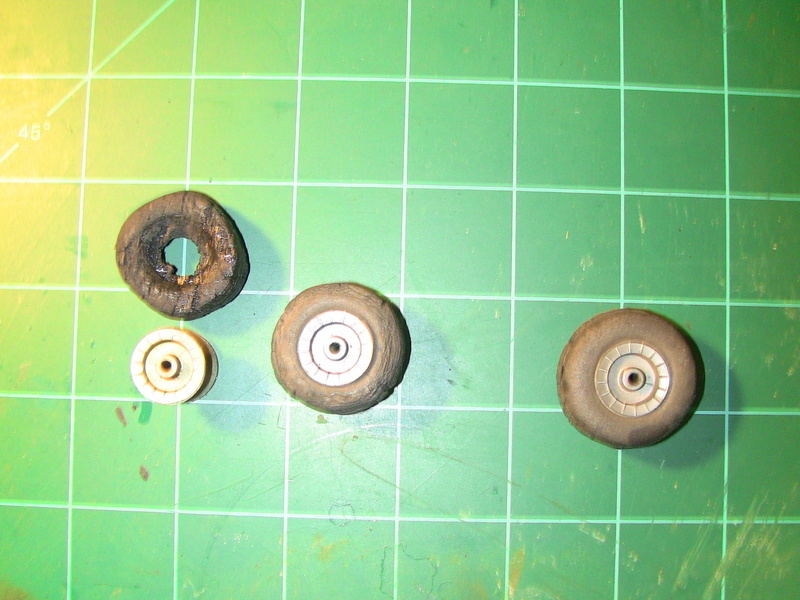 New tires, as the ones on are fossilized, and a nice clean up of the plane. What products are best? It has a lovely patina, so that stays. The engine is frozen with the piston on the UP position. Tips? it is the linc at the very bottom of the page for "Instruction Sheets" on the Left hand column. Great tips! The engine loosened up with the hair dryer. Has very nice compression. Don't want to force and damage...Once open, how is the inside cleaned? There shouldn't be any problems getting the rear open. Should just be a matter of removing the four screws and it should come right off, either tank or backplate. Will probably just be stuck on the gasket. As for cleaning, if it doesn't look too bad just flush it with a little fuel or alcohol. Automotive carb cleaner is good too, although a little harsh, expecially if used in place of the alcohol. Ah, so you have the Comanche .15. That's a Sportsman 15 engine isn't it? I was thinking of the .049 version. Yes, it is a Sportsman 1.5. Looks to me like that “rear intake” cover is threaded into the crankcase. So, yes, a little heat will help loosen any built up castor oil varnish. I just scored one on Ebay myself. My engine was frozen up as well. I dismantled the engine the best I could. 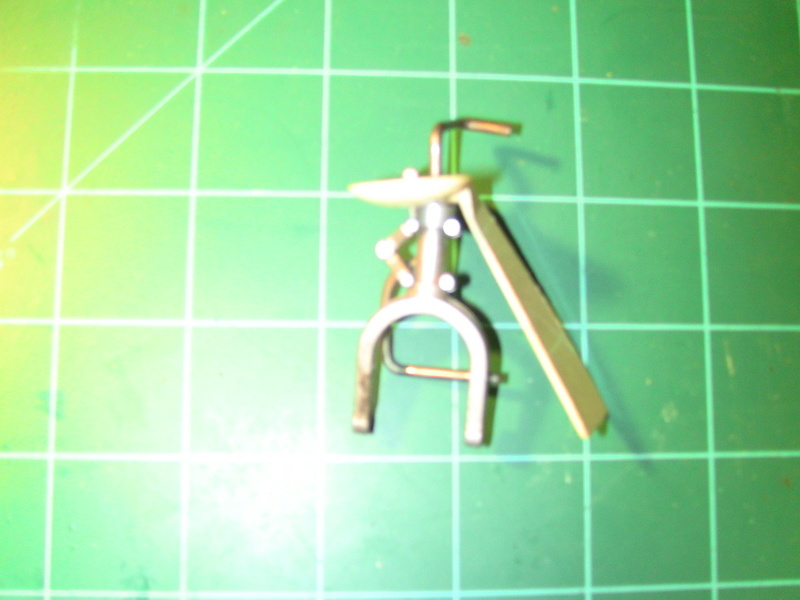 The hardest part is removing the reed valve assembly. If you don't have a cox spanner for this you will end up nicking the aluminum as I did. No big deal if you do, as you cant see it once installed in the plane. I got mine off by clamping the engine mounting lug very tightly in a bench vise to secure the engine from moving. I then too channel locks to the reed valve assembly and squeezed very hard while slowly applying torque to remove the assembly. Lefty Loosy. Couldnt hurt to heat up the engine with a heat gun or liberal use of a torch. Once you have that off its all down hill. You can then submerge the engine in Lacquer Thinner over night. Once its had a good soak I then used some penetration oil on the cylinder (glow head off) and let that sit over night. 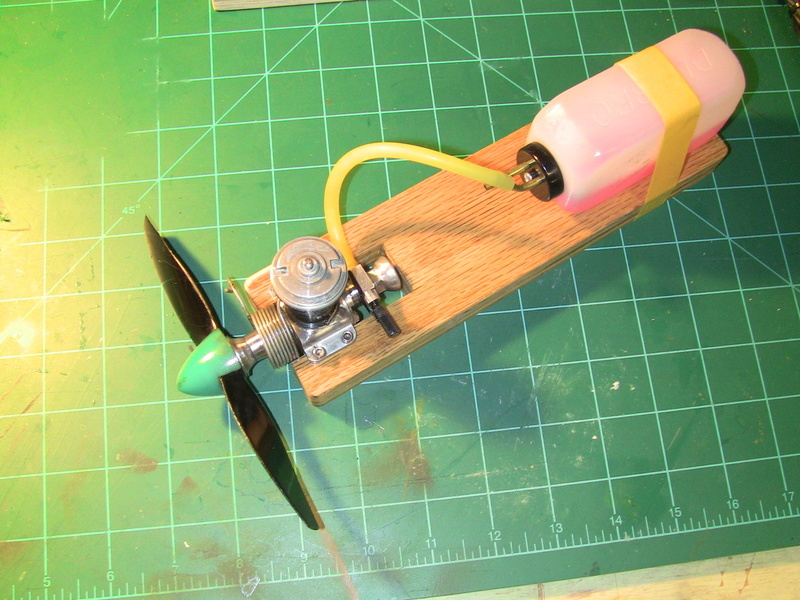 After that was complete I installed an old propeller and turned it by hand to free up the cylinder. It worked. The other parts need to soak in the thinner for a while to break up the oil. 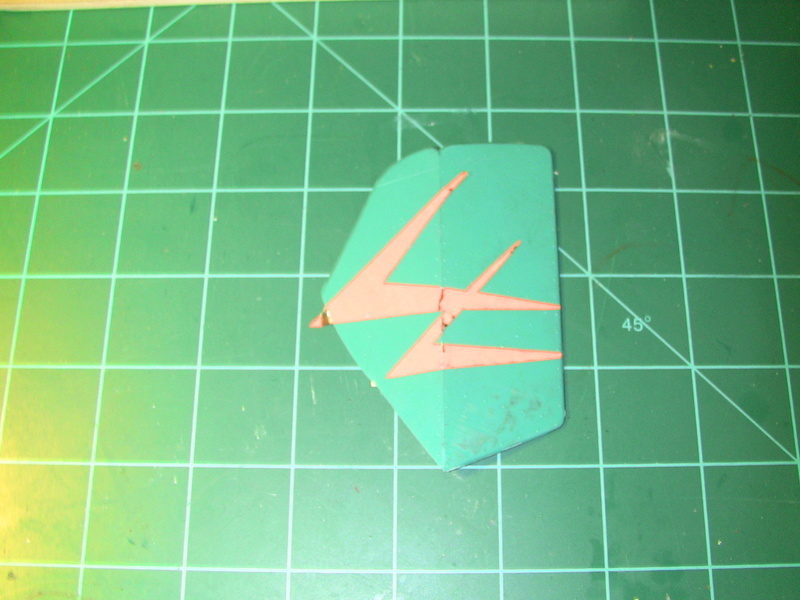 Use a sewing pin to clear the fuel jets on the venturi. I just test ran mine yesterday. It is LOUD. Also bit my finger. I can see why they stayed with the smaller engines after this guy. 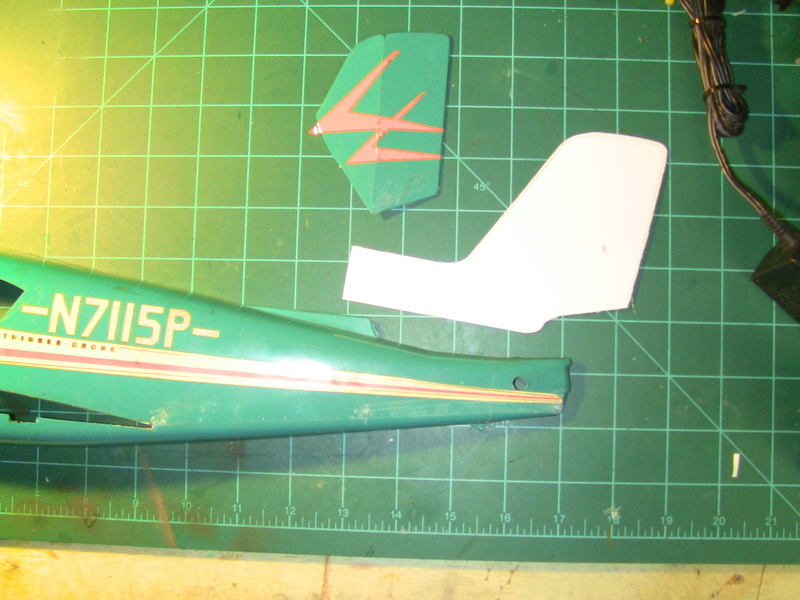 My plane has a broken / missing vertical stabilizer so I'm going to make one from polystyrene sheet. 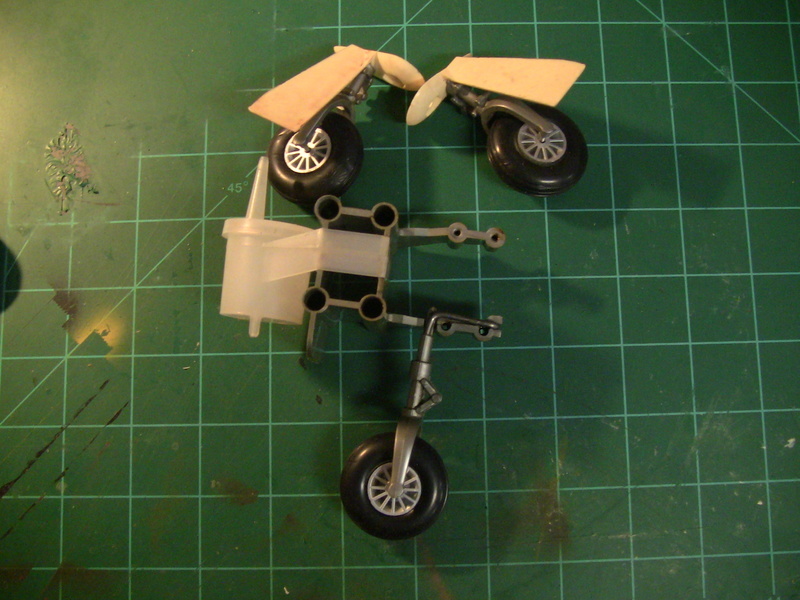 This is my solution for the tatty landing gear on this airplane. These are the wheels that are available from the Cox Canada Ebay Store. 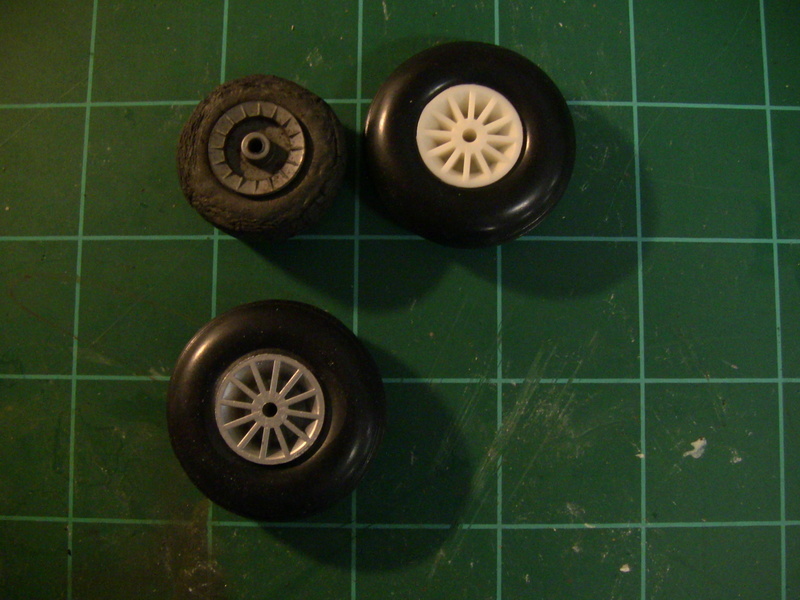 The new wheels have the tires removed and hubs sprayed with Tamiya Silver, any Silver paint will do however. More pics of my Comanche. 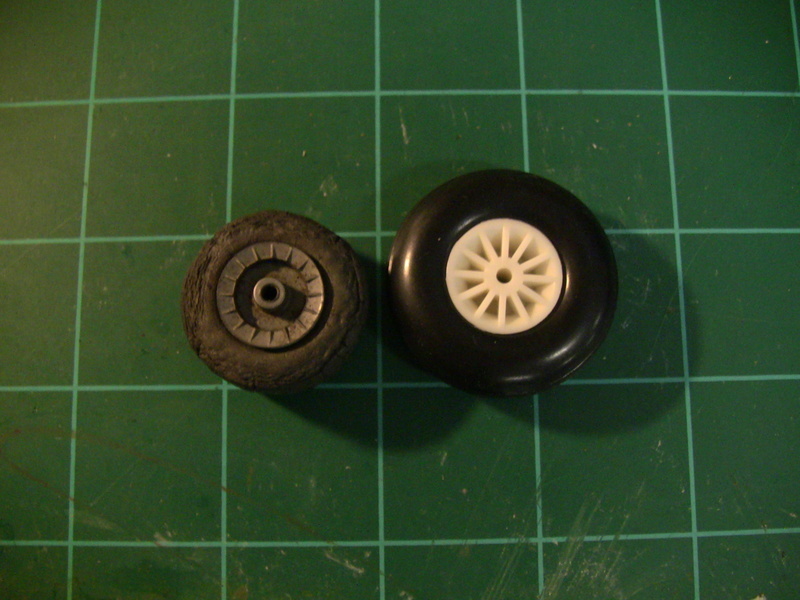 Mine had a broken vertical stabilizer. 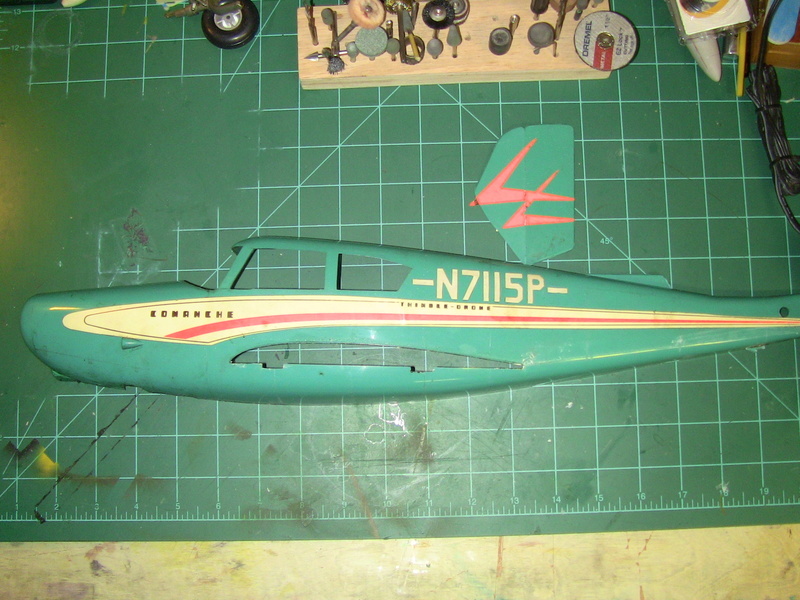 Waiting years for a replacement Fuselage side to appear on Ebay is not an option. This airplane is one of the most beautiful RTF that cox made. This engine is similar to the Olympic, but has plain bearings, which resulted in a lower price ($7.98 in 1658, to be exact). The aluminum parts were not colorfully anodized as its stronger brother, the Olympic. Again, Dale Kirn was responsible for the design of this engine which followed the Space Hopper and Olympic design philosophy. The engine was also used as a product engine in the beautiful "Big Comanche" C/L model. 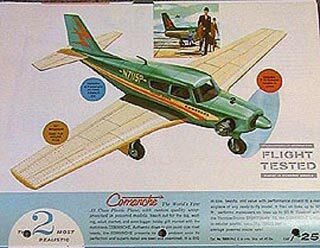 This was the only .15 powered ready to fly C/L model Cox ever manufactured. Here, the engine was equipped with a longer needle valve and a spinne >>>> http://www.mh-aerotools.de/airfoils/cox_frameset.htm Nice !! I don’t think Dale Kirn designed this engine. He started with Cox, (the first time,) in August 1962. The Sportsman/Olympic and their .049 predecessor, the Space Hopper characterize the third generation of Cox engines and were in development following the Babe Bee/RR-1 from 1956. This would have been 1957-1960. The engineering department consisted of William Selzer, Cole Williams, and occasionally Mark Mier. Cox followed an evolution of engine design that led to greater and more competitive performance. The idea behind the Space Hopper was mounting a modified version of the carburetor assembly from Thermal Hopper to the crankcase of the Babe Bee. 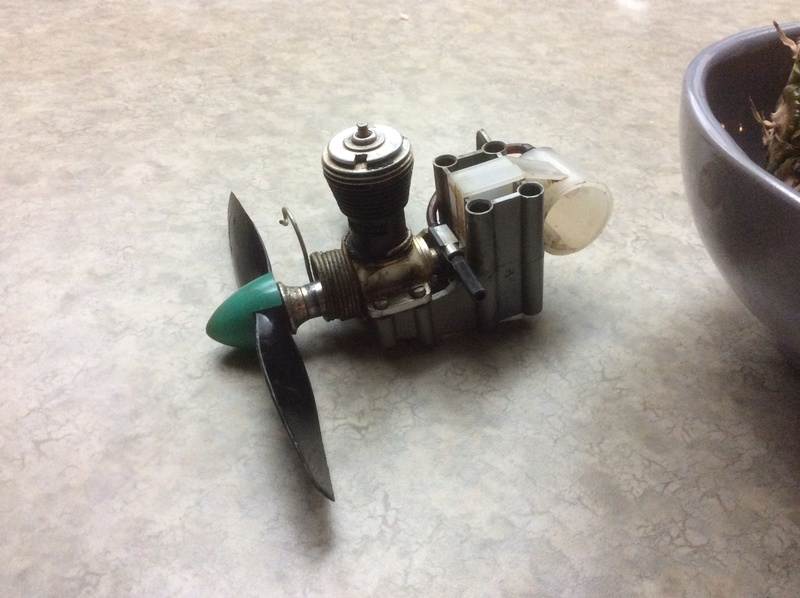 (I have two prototypes of this engine buried somewhere in my home.) In any case, this was before Dale Kirn’s time with Cox. In the fifties Dale was in a traveling control line road show, of sorts, demonstrating Victor Stanzel products. that focuses only on these models. We can share modifications, solution to damaged parts, etc. dang, don't know how to on this site. Please help! here you go Swift52... https://www.coxengineforum.com/t8191-posting-pics?highlight=how+to+post+photos+on+cef Us the search Box..